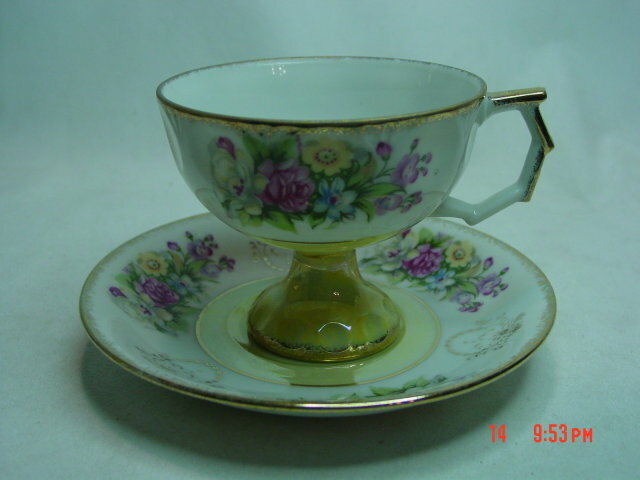 This pedestal tea cup and saucer have a colorful floral decoration. 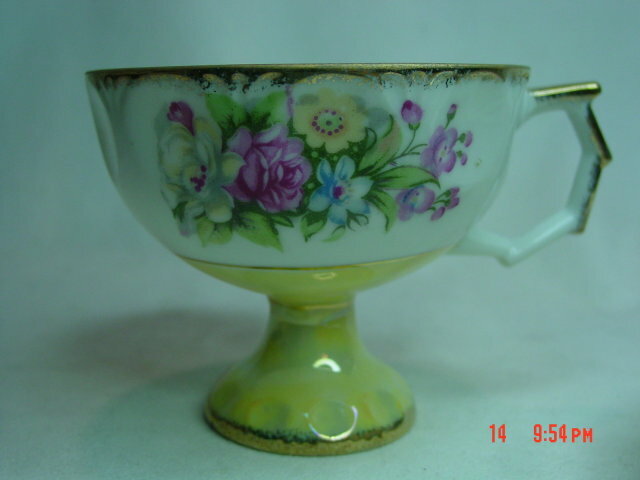 The bottom of the teacup, the pedestal base and the center of the saucer have a yellowish green lusterware finish. The teacup has 10 flat circles around the side, and the handle is angular. 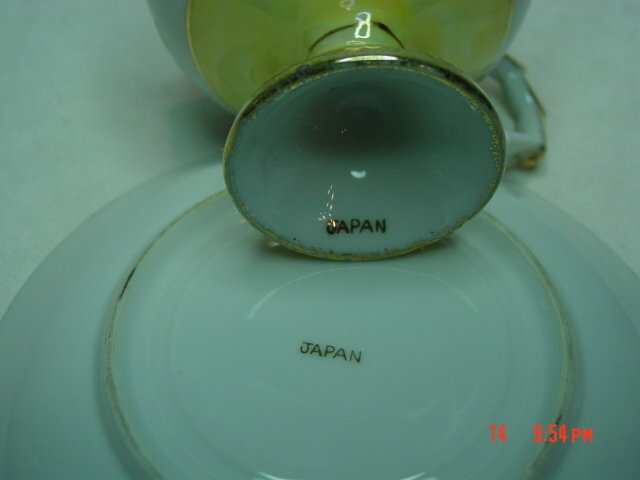 Both the tea cup and saucer are edged in gold, and the bottoms are marked JAPAN in gold. This pretty set is in excellent condition. 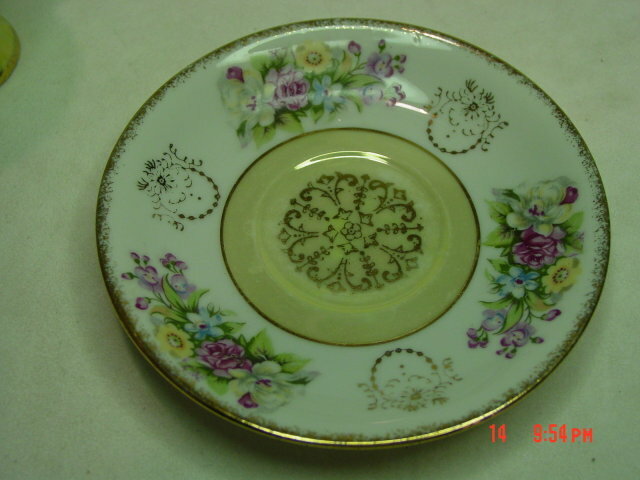 Items Similar To "Japan Lustreware & Floral Pedestal Tea Cup & Saucer"